Branches Pro for macOS, along Branches Pro for iPad, and Branches for iPad (free), has recently been updated. 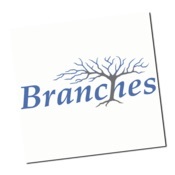 Branches is referred to by its developers as a “full featured record manager for your family tree information.” It uses GEDCOM files to import/export data, and is cross-platform between Macs, iPads, and Windows. Likewise, Branches for iPad (the free version) and Branches Pro for iPad have been updated. They also use GEDCOM files (and can load them from Dropbox), and can also interact with/download FamilySearch family trees. Branches Pro for iPad 4.5 adds updated FamilySearch features, and minor fixes, and the free version has received “enhancements” for FamilySearch and minor fixes. Branches Pro for iOS (iPad): Branches Pro for iPad – App Store – $0.99 (current promotional pricing, normally it’s $2.99). There is a Branches for Windows available through the Sherwood Electronics Laboratories website, with a 30-day free trial, and a final cost of $14.99 if you choose to keep using it.